If you can't read this email, please click here. you are able to unsubscribe via the link at the safe unsubscribe button at the bottom of the newsletter. From then on you will be removed from our mailing list. Your personal information have never and will never be shared with a third party. Enter your own football team in the world cup in South Africa! 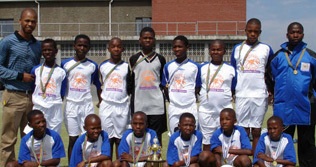 Bafanakids is the name of the charitable organization that invites you to sponsor your own football team of township kids in South Africa. Why wait until June of 2010 to start rooting for your national team? As a company you can sponsor a team of youngsters from the townships for € 1.500 per year; this sum pays for equipment and professional training and is a sure way of keeping the youngsters occupied and out of mischief. Bafanakids is a recognized & charitable organization that will put your sponsor money to very good use! www.bafanakids.org for details on how to join this great initiative! In the recently renovated old station of the ‘Dam’ in the heart of Antwerp D-Club has opened its doors as one of the most trendy event locations in Antwerp. With room for 750 party people, or 200 diners, with a great sun terrace that can be used in summertime, and an easy reachable location with ample parking facilities, D-Club is bound to become one of the top locations in Antwerp. The collaboration with the Astrid Plaza hotel ensures competitive room rates for the party goers who play it safe! The leading holistic and wellness hotel group, Healing Hotels of the World, is offering a comprehensive global collection of luxury hotels specializing in the holistic well being of guests, while at the same time offering superlative standards of luxury. Healing Hotels of the World was formed in response to the rapid growth in luxury properties, incorporating what were once considered ‘alternative’ health programs in their spas. Healing Hotels of the World is not just about beauty treatments or relaxation they bring together long-term improvements to clients’ health, while offering the very highest standard of luxury - there need to be no compromise. Research shows that luxury travellers today are looking for something more meaningful in their lives than the traditional luxury hotel and spa offering. Membership in Healing Hotels of the World is by invitation only and properties must meet strict criteria going well beyond spa treatments. A key service offered by Healing Hotels of the World members is a personal consultation with every guest at the start of their stay to help them focus on their health and maximize the benefits of their stay. 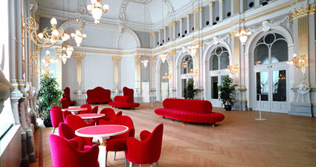 On 18 March 2010, EMIF’s doors will swing wide open to the Belgian event industry! As the initially planned Facts on Acts trade fair was scheduled one week before EMIF, the two shows decided to combine their strengths and turn the two events into one. And thus, a separate “Facts on Acts Pavilion” will be housed on the EMIF show floor. This pavilion is made up exclusively of exhibitors in the event sector, and will be opened to the professional public on Thursday, 18 March. Visitors are of course welcome to visit EMIF on both days to also visit the exhibitors from the Meetings Industry. We also ask our guests to choose a top 5 selection of the people they should like to invite for a dinnerparty. Anne has selected 5 women, from different times, to whom she would like to ask some questions about their way of life and their view on the world. Click here to read this interesting read. Annemie de Rooy, Managing Partner of the Belgian Incentive House Mind and Motion takes us direction Ghent and surroundings, especially the Italian suggestions caught our eye! Annemie’s favorite quote is from Saumel Beckett is ‘Ever tried. Ever failed. No matter. Try again. Fail again. Fail better.’ Click here to find out Annemie’s 5 likes, 5 dislikes, favorite venue, MICE secret, cities and so on. 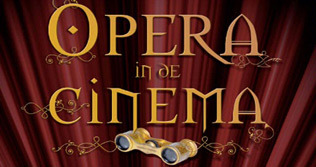 Kinepolis brings a third season, in collaboration with the world famous Metropolitan Opera in New York, of series of opera performances on the big screen. The Metropolitan is one of the most famous and creative opera houses in the world. This collaboration between the Met and Kinepolis gives viewers the opportunity to live first hand the creative and impressive productions of this opera house on the big screen. For details and full program, go to www.kinepolis.com If you want to meet a world renowned Life Coach who is a Certified Professional www.dieterpauwels.com , trainer, speaker and author go to www.dieterpauwels.com/MeetYourCoach. 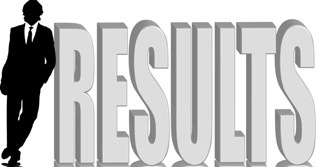 He works one-to-one with individuals and independent professionals to help them better identify and achieve the results they want in their professional and personal life. 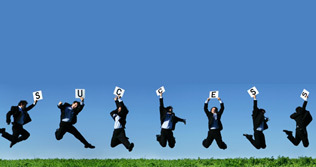 As a personal coach, his main focus is on life coaching, career counselling and business coaching. “Green, Lean & Mean” is the theme of this years MICE & Travel Fair which takes place on October 27th in the Mövenpick Hotel, Amsterdam City Centre. Now is the moment to pre-register. For buyers in the MICE Industry and members of MPI, SITE, NATM, etc..registration is free of charge. Other visitors and on the day registrations are at euro 30 inclusive of lunch and coffeebreaks as well as the networking drink. For the 3rd consecutive year there will be a Green Award 2009 for a green company or project. Remember the sixties? 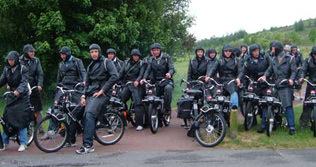 For a real nostalgic outing with colleagues or friends the Solex Adventure will take you right back to the laidback atmosphere of the Sixties. Imagine yourself – and your co-workers – in a leather cap and coat – going around the beautiful landscapes around Groningen, pottering around at the gre at speed of maximum 25 Km/h. These bikes with light engine are the ideal way for discovering the city at leisure without having to pedal at all! Just the outfits are worth the effort and make for a memorable picture! 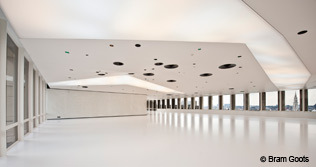 On September 17 their Royal Highnesses Prince Philippe and Princess Mathilde of Belgium officially opened the brand new and spectacular convention centre SQUARE in the centre of Brussels in the presence of a select gathering of invitees and press. On Sunday 20.09 at 20.09 hrs of the year 2009, the venue was opened for the public with a spectacular party on the Mont des Arts witnessed by a couple of thousand enthusiastic inhabitants of Brussels who were still in the Capital at the end of a car free Sunday. If you have not done so yet, make sure to take some time in the coming weeks and visit this architectural gem, truly a crown jewel for the Belgian MICE community and hopefully a ‘not-so-secret’ weapon in our efforts to bring more international convention business to Brussels! There is a growing demand for environmentally sound organized events, meetings and conventions. The Swiss public transportation system offers plenty of eco-friendly ways to reach your final destination - and a wide selection of coaches and trains to choose from. 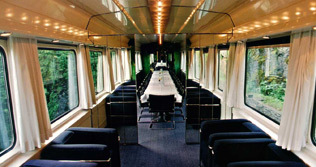 For example, you can host a meeting on the "Salon de Luxe" conference coach and save precious time while travelling. Presentations and conferences are bound to success when held in this modern vehicle with top-notch technical infrastructure such as data projector, notebook connections and PA system. Imagine a home build a few centuries ago for a real knight in a quiet and restful setting, with a beautiful garden and a pond…definitely an idyllic setting for this wonderful small 4-star hotel, a member of the prestigious Relais & Chateaux chain. The 40 stylish rooms are decorated in the style of Flamant Home Interiors design. The young chef of restaurant La Source creates his mouth watering dishes with passion for perfection and tastes. Over the years La Butte aux Bois has become a favourite location for events, not only for the local Limburg area but from all over Belgium and neighbouring Holland. The European Commission is among their regular clients due to the safety and privacy of the venue. The selection of meeting rooms and the quiet surroundings make it an ideal venue for business meetings. The indoor swimming pool and the spa and wellness facilities complete the total package. Enter the fascinating world of tea and discover the richness and diversity of this age-old art of living, which is one of the pillars of Chinese culture. The Dynasty building in the Mont des Arts - exceptionally open to the public on the occasion of europalia.china - will be converted into a tea house to immerse you into a fantastic Chinese atmosphere. 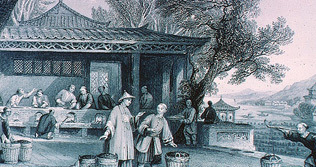 Tea tasting sessions, concerts and performances, film screenings, arts and crafts, calligraphy workshops and lion dance are but a few examples of the extensive programme organized in the Tea House. It will also host the europalia.china information point, where it will be possible to discover the festival programme, to buy exhibition catalogues or eastern Christmas gifts, or to learn about China, its culture and traditions. Till the 12th of February 2010. Do not miss the information day for Business Travel in the Province of Namur on October 27th which will take place in ‘les Jardins de Molignée’ in Anhée. A line from the Godfather, but very much of use for the Austrian village of Längenfeld, who invited 200 tourists to visit for three days in July. 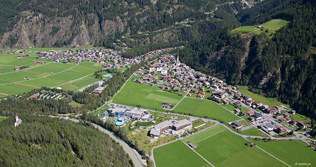 Located close to the Alps, the picturesque village of Längenfeld asked the visitors to perform a ‘Live Quality Check’, in which they tested the village’s hotels, restaurants and leisure facilities. When it was time to leave, they filled out a survey and paid what they think their stay was worth. The local tourist industry hoped to gain useful feedback on their pricing strategy and the quality of their services. www.livequalitycheck.com… an original initiative to say the least! Kidonaki is an original new concept in Brussels: the organizers have gathered over 1.000 new or used objects to be put up for auction, all proceeds will go to recognized charities. All these objects have now been put online and the bidding can start, go to www.kidonaki.be, the site will provide all necessary details. Good luck and have fun bidding for your favourite object! With the opening of the RAI Elicium on Tuesday 29 September 2009 by His Royal Highness the Prince of Orange, Amsterdam RAI showed its leading position among Europe’s conference centers. By adding the Elicium to the pre-existing complex, the RAI can now justifiably claim to be ‘Europe’s largest conference centre’ in terms of the number of available rooms, surpassing well-known conference cities such as Berlin and Vienna. And the opening of the Elicium completes Amsterdam RAI’s six-year, 110-million-euro investment programme in new construction and upgrades. The RAI Elicium is the new contemporary face of Amsterdam RAI. The new futuristic structure connects the various parts of Amsterdam RAI and was built with the very latest environmental technologies such as a climate façade and thermal storage 187 meters below the ground. Anja De Haen, Head of MICE Benelux of BCD Meetings & Incentives, was looking at a well earned 2 week holiday planned at home in Belgium when the Dutch Convention Board invited her to a 3-day educational to the region of Groningen and the Waddeneilanden….why not, she thought..and reading her account of these 3 days she definitely did not regret her decision for one second! Who would have thought a number of years ago to go for lunch or dinner in..a museum..? Today Brussels and many other cities offer an interesting choice of eateries varying from the simple snack to the more elaborate watering hole where being seen is nearly more important than the excellent food. A short overview of ‘cultural’ dining facilities. Museum Brasserie: launched by the great Peter Goossens of 3-star fame who filled in the culinary offer and Antoine Pinto who decorated the brasserie, the café and the shop, this is the prime example of the restaurant that has attracted the glitterati looking for good food in an interesting location (in the Bozar Museum, next door to Magritte!!). Horta Brasserie: as the Belgian Centre for Comic Strip Art is a place where fantasy, imagination and beauty meet, it also houses a brasserie in true Brussels style. Fans of Art Nouveau and comic strip enthusiasts will truly enjoy its visual pleasures as well as its culinary delights. Musical Instruments Museum: an unique collection of musical instruments and an exhaustive panorama of ancient, modern and traditional music. The restaurant is on the top floor and offers a great view on Brussels. Hermitage Amsterdam: Café-restaurant Neva: a fabulous museum and a great restaurant: excellent food selection in a modern, lounge-like environment, an absolute must for both! David & Goliath: the café in the hart of the Amsterdam Historical Museum: in summer a great garden and terrace for a great snack. Wereldmuseum Rotterdam: will reopen shortly with a winebar and restaurant and advice of a Dutch topchef! Presenting the new Holiday Inn Brussels Airport! The Holiday Inn Brussels Airport has been completely renovated over the past few months. The bedrooms, lobby lounge, swimming pool and meeting rooms have all been given a fresh new look, surprising and modern. The work is completed and the New Holiday Inn Brussels Airport is definitely innovative and offering a highly original meeting concept, SKOJ. SKOJ is Swedish for 'fun', and the hotel decided to give a new dimension to meetings from now on. SKOJ is an acronym for Surprising, Kreativ (or creative), Original and Joy. Meeting topics will normally be serious enough, and this is why a dose of SKOJ is recommended. 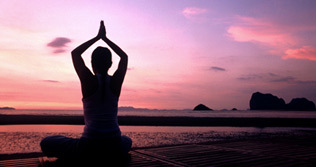 Also, scientific research has shown that people perform better when they are relaxed and in a good mood. SKOJ is intrinsic to the way in which meeting rooms are designed, the efficient and uncomplicated service and the enthusiastic attitude of the New Holiday Inn Brussels Airport staff. • Looking for a cosy restaurant in Belgium or a particular dish, go to www.sensum.be and be directed to exactly the place you are looking for! • For an original lunch or dinner in a typical Ardennes environment, visit “La Ferme des Sanglochons” near Neufchateau. www.sanglochon.be.The best home smoked hams in the business! • It’s green, compact, easily reachable and diverse. It’s Slovenia. Read more on this rather unknown MICE destination. • Belgian Olympic Champion High Jump Tia Hellebaut has joined Golazo Sports and will be organizing sports events. • The city of Liège, Belgium, is proud as punch with its new railway station Liège Guillemins, a creation of the famous Spanish architect Callatrava! • From December 6th KLM will start flying direct to Bali again 3 times per week. • On October 6th European Pilots organized an action day in several European airports to protest against the long flying hours which they deem – rightly so ! - too dangerous. • The European Commission is against the close collaboration on intercontinental flights between BA, American Airlines and Iberia. • American Express Business Travel expects a rise in business class tickets in 2010 because of increased demand. Travelers will also consider more the business impact of a business trip. • Lufthansa, in collaboration with PayPal organizes a module on its website that allows tickets to be cancelled and later refunded. • The iPhone promo searcher of Thomas Cook Airlines enables holiday travelers to search for the cheapest available tickets to over 60 different sunny destinations all day long. Thomas Cook is the first leisure travel company to offer this feature. • Thursday nights at Royal Windsor Brussels is after work party time! Happy Hour as from 5.30pm and much more..
• Friday nights at the Barsey Hotel Brussels is ‘Velvet Louise’ nights: cozy, lounge, good music, good food... For details, go to www.barsey.be. • Radisson Blu Hotel in Hasselt, Belgium builds the highest lounge and meeting location in the Limburg area on the 17th, 18th & 19th floor of the hotel. • Early September the Brussels’ Starwood hotels marched for charity – Unicef – and raised nearly euro 25.000! Over 80 employees participated. • Linda Van Pottelberghe has taken up her new role as Director of Sales in charge of MICE at the HUSA President Park Hotel in Brussels. • David Spuller is the new president of the country steering council of Star Alliance Belgium and Luxembourg. • Gijs Verbeek has been appointed as Executive Director for the MPI Holland Chapter. • BBT Online’s favorite stand-up comedian Jo Brand. Click here.